Spider-Man is about to make his Disney Parks debut with new attractions opening at Disneyland’s California and Paris locations. Now, we know exactly what the wallcrawler’s costume will look like when he invites visitors on a new interactive adventure later this year. Attractions Magazine (via ComicBook.com) has premiered the first look at Spidey’s Disneyland duds, which you can view above. Disney recruited Ryan Meinerding to design Spidey’s threads for the attraction. 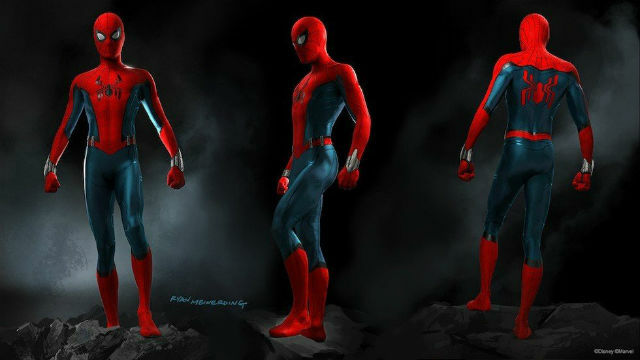 Since Meinerding is Marvel Studios’ head of visual development, it’s no surprise that the suit resembles Tom Holland’s MCU outfit. Despite the similarities, there are still a few noticeable differences to the new design. Most notably, the spider emblem is larger on both sides and the webshooters are silver instead of black. What do you think of Spider-Man’s new suit and the plans for his Disneyland attraction? Give us your impressions in the comment section below!